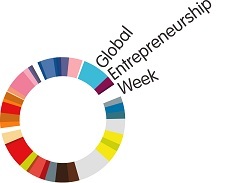 Global Entrepreneurship Week 2012 was held in Israel in November 2012. 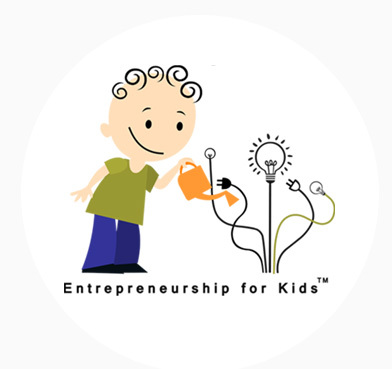 The schools that participated in the Entrepreneurship for Kids Program celebrated Global Entrepreneurship Week. Each school decided how they would do it in their own way. Each school presented a slideshow on Global Entrepreneurship Week to its students while explaining the purpose of the week, the activities that would take place during the week in Israel and the world, and especially about the students' role in the week. A select group of 4th graders who participated in the Entrepreneurship for Kids Program watched a slideshow on Global Entrepreneurship Week, and heard explanations about the week's purpose and its help in promoting entrepreneurship. Afterwards, the group had a second meeting as outlined in the program. Hila Attias Almagor, an entrepreneurship for young students teacher at Amirim school, hosted entrepreneur Shachar Attias during a weekly meeting that took place during Global Entrepreneurship Week. Shachar told the students about his experience as an entrepreneur. Shachar has 12 years of experience in online marketing, and founded a startup called FansPitch.com which allows sports fans to provide online commentary to games shown on TV, while competing with a commentator for the opposing team. Orly Maimon, the entrepreneurship coordinator at Yad Mordechai, organized the celebration of Global Entrepreneurship Week with help from the Entrepreneurship for Kids Program. This is the first time Yad Mordechai is celebrating Global Entrepreneurship Week, after its recent transition into a school that promotes innovative entrepreneurial thought. 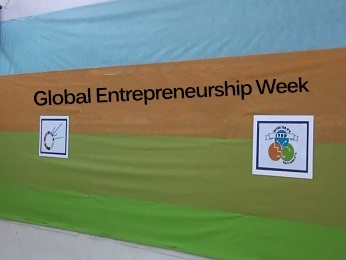 The school opened Global Entrepreneurship Week with a school-wide ceremony, and during the week, the students were shown a slideshow that was prepared by the Entrepreneurship for Kids Program. This slideshow explained the purpose of the activities that happened in Israel and around the world during Global Entrepreneurship Week. When Meir Shoef saw that there were children in Bat Yam who came to school without breakfast, he decided to open a kitchen to make sandwiches, and distribute them to students on their way to school. In time, Meir understood that these children also don't have a hot meal waiting for them at home at the end of the day. Thus, he began preparing lunches for the city's children. The Yad Mordechai students also profited from Meir Shoef's social business, and so inviting him to speak was an obvious choice. Meir was happy to come to the school and speak about how he had the idea, what difficulties he had along the way, funding and his goals for the future. 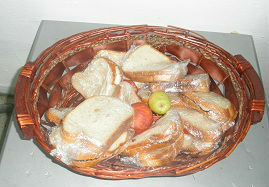 In this photo, you can see a basket of sandwiches prepared in Fat Meir's Kitchen for the Yad Mordechai students. I would like to mention here that the Yad Mordechai school participates in the Making a Change program - a global program that encourages social change. In Israel, the program is sponsored by Shari Arison. Yad Mordechai won first place among the schools with an agricultural farm project, and the students represented the school in India. The crops from the farm project are donated to Fat Meir's kitchen as thanks for the sandwiches they receive daily. 4th-grade students participated in a hands-on meeting about teamwork, in order to learn about the importance of teamwork to achieve the desired outcomes in a project, and also about the importance of preserving individual thought in the face of peer-pressure. The Tal Shel Tikva foundation was founded to help children with kidney disease spend their time in the hospital in comfort and with interesting things to do. Drinking water is very important for the kidneys' function, and Noah created an interactive activity which taught all the children about the importance of drinking water. The EVT project allows Hebrew speaking people to take part in fitness training at home, during their free time, online. Sharon Mualem told the children about where the idea came from, the steps along the way to making the dream a reality, the difficulties of creating an online business when the entrepreneurs aren't programmers, and ways to overcome difficulties. The HaIrisim school in Karmiel turned their celebration of Global Entrepreneurship Week 2012 into a tradition, and do so through one of the meetings offered in the Entrepreneurship for Kids Program. This year too, the week was organized by Ronni Shtekler, the entrepreneurship teacher who developed a method for teaching English to Israeli students with language-learning challenges- Learn English and Remember. Ronni told 6th graders about Global Entrepreneurship Week, and shared her experience as an entrepreneur. After a question from the students, they discussed how this week encourages educating entrepreneurship in Israel and around the world. The Kaplan school in Petah Tikva celebrated its third Global Entrepreneurship Week in partnership with the Entrepreneurship for Kids Program. The school held a ceremony to open the week, and invited entrepreneurs to share their experience with the students. 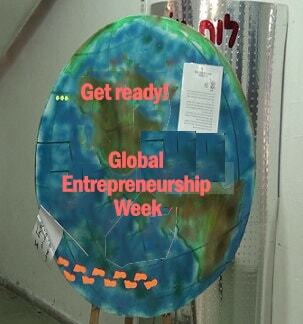 In this clip, you can see a bit of what went on during Global Entrepreneurship Week 2012 at the Kaplan school, including a focus on entrepreneurial education in the school's daily life. 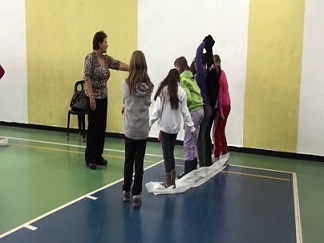 5th graders participated in an activity about team work and the influence of the group on the individual, in order to learn about the importance of team work to achieve the desired goal, and the importance of individual thought in the face of peer pressure. Ayala's children studied at the Kaplan school, and she has been a guest lecturer there during Global Entrepreneurship Week for several weeks. During the week she tells students about the board games she created, and her work as a social entrepreneur. 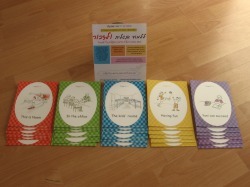 The first game Ayala created and published was Elephant and Cat on a trail adventure, and later, The Web. Both were taken up by Foxmind, which sells them in Israel and abroad. 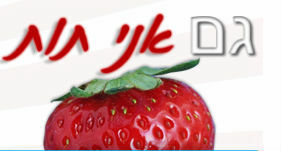 Dana told 6th-grade students about when she lived in England, she had the idea for Gam Ani Tut, Ramat HaSharon Website. 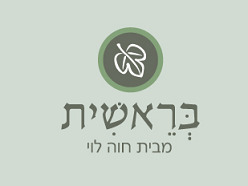 The project connects businesses to workers' associations in Ramat Hasharon. Both sides benefit: the businesses get exposure and more income, and the associations get donations that help them continue to work towards the good of society. Dana told the students about the process of starting a project, the challenges, marketing and her goals to spread the project to more cities. The Mordei HaGeta'ot school in Ramat Gan teaches leadership, entrepreneurship, and business management. This year it celebrated Global Entrepreneurship Week for the first time with a variety of events, all led by Rony Sha'asa, the school's principal, and her vice principal Sara Bachar. The school opened the week with a school-wide ceremony and immediately afterward students got to learn about the electric car project. During the week, in two concentrated days, entrepreneurs from various fields visited the school and told 5th-8th-grade students about their projects and the processes they went through, from the first idea to successful completion. In addition, the school made a booklet with an explanation about Global Entrepreneurship Week, a statement from the principal, and introductions to the entrepreneurs that the students met during the week. Students took part in a school-wide ceremony and watched a performance by other students about entrepreneurship. Afterward, everyone listened to Sagi Shachar's lecture about his electric car project. Sagi is the collaboration manager of Better Place and he told the students how to turn an idea into reality, and how they do so at Better Place. Sagi is also a social entrepreneur and a few months ago, he founded an association that encourages people who have finished their undergraduate studies to work in social work that helps them and their community. This helps them professionally, managerially and how to create a network, etc. The Or Lahinuch Association promotes excellence and volunteering as a way of life in children and teens, with a focus on the social and geographical periphery. Lior Lapid told the children how he established the association when he was 16 following his personal story, and then spent 7 years developing the association's activity in volunteering. He took a half-year break to live abroad, and then returned to manage the association full-time. The association is built around a group of volunteers, made up of educators and social workers as well as students who receive scholarships for their work with the association. Michael worked as a new product manager in large Israeli companies that develop and create products for international markets, and he innovates and creates the original products within the company he founded, Tea and Lemon Ltd. The first product he developed and created, Sir Lechet, answers children and parents' need for accessible bathrooms, ready and clean when they are outside of the house. 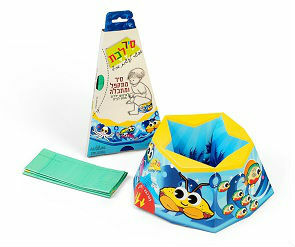 Sir Lechet won a design award, was presented in the design museum and is sold in many stores around Israel. Michael spoke about the creation and idea process of the project. The fun and the difficulties, the possibilities and dangers from the idea until the product ended up on store shelves. Dana Eliyahu founded her project Gam Ani Tut after identifying an associations' need for donations and business' need to get exposure and expand their sales. The project connects businesses to workers' associations in Ramat Hasharon and both sides benefit. Dana told the students how she had the idea while living in England. She spoke about the process of starting a project, the challenges, marketing and how her goals spread the project to more cities. Ayala works in High Teach and loves creating board games. She's developed two games that were taken up and sold by Foxmind, one of which, Elephant and Cat on a trail adventure, gained international success. 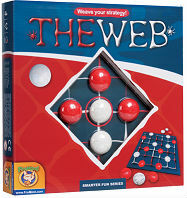 The second game, which was published in 2011, is called The Web. Ayala spoke about the process of developing a board game, the difficulty in marketing them, and success. Ayala is one of the Entrepreneurship for Kids Program's most veteran lecturers, and during her meetings with children, she also speaks about her social work helping elderly people living in a nursing home in Petah Tikva, and a story that she wrote. It was published by MTH and made especially for mentally disabled people aged 15-20. Zur had the idea to make a website with a platform to offer and receive unneeded items, when he worked in a clothing company's warehouse. In his position, he was responsible for clothing shipments arriving on plastic hangers, and transferring them to wooden ones before they arrived in stores. Every day he collected many plastic hangers. The hangers were thrown away and added to the gathering environmental pollutants, while Zur thought that someone, somewhere would be happy to receive them. After trying to sell the hangers without success, Zur decided to found the Agora website where people post offers for free items they no longer need, and others receive items they need for free. Hava worked as an information systems analyst for many years. When she felt like she needed a change, she studied herbal medicine. At first she concocted and compiled natural ointments which she developed at home as per her family and friends' needs. When she saw that the ointments were useful, and the users were happy, Hava decided to start a business, called BeReshit, and today she creates and sells a number of self-made products. Tamir's daughter is in the 1st grade. He spent three years working on a project that came into being after the real estate crisis in 2008. The project was an online forum for international real estate investments. The project ended due to difficulties in fundraising. Tamir quickly continued on to the next project, and today he is the CEO of a new startup with two patents. Tamir told the students about turning a difficulty (the real estate crisis) into an opportunity (an online forum), his lessons from finishing a project, and how to continue on to the next one. Since he was a child, Doron loved to dance and dedicated all of his time to dance. He was even a member of the Bat Sheva band, but when he was 21, he was injured and had to stop dancing and reinvent himself. Doron told the students about his process, about his first project: A self-lighting cigarette, about his first negotiation, the creativity that helped him, and more. Today Doron is the CEO at White Innovation, which he founded. The successful company is based upon finding creative solutions to factories' difficulties, and their business model is: Share the profit from these solutions. Doron is one of the few Israelis invited to speak at TED. Ran's son is a 2nd grader at Mordei HaGeta'ot and he spoke to students about Accells, the project he founded by a team of entrepreneurs, about the process of starting a project, the steps he needed to take, and more. The project is a startup that supplies security measures for websites and organizations through cell phones. The project aims to replace the username and password used today, and make the identification process more reliable and simpler. Gilad and his partner founded a number of projects: an online project to turn information into knowledge, and creating information products with help from experts in several fields. 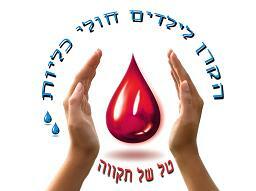 In the same area, they created the project, LeHachechim BePkakim. Gilad spoke about how he came up with his project (from a personal need), working with a business partner, ways for collaboration and his goals for the future.